Mobilisation by Bajrang Dal, new religious practices for Dalits, messaging via social media are part of the party’s strategy to take power. 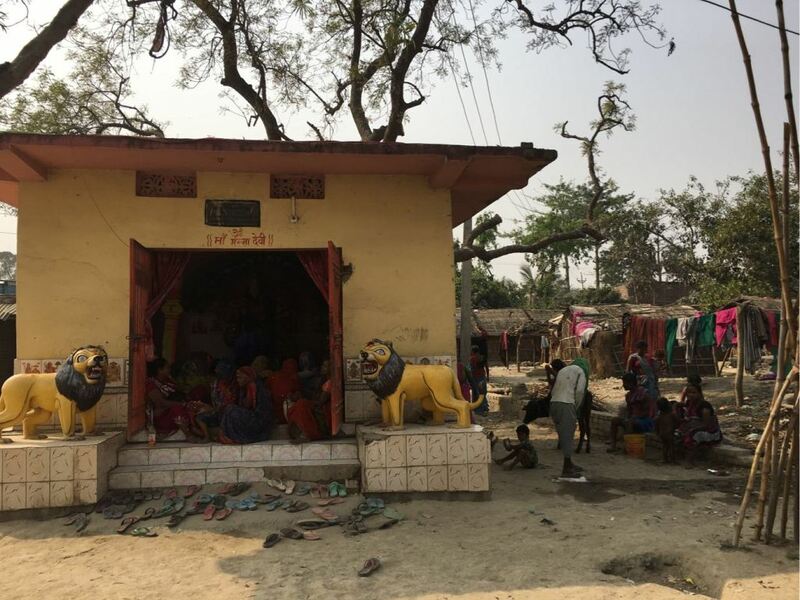 In a hamlet between Badlapura and Chirandgaon villages near Chhapra, Bihar, a small temple is packed with about 40 women. Unmindful of the summer afternoon heat, they are absorbed in worshipping the Hindu god Shiva. It is a Shiv Charcha, Ajay Pandey, the priest of a nearby temple, explained. The women live in five villages surrounding the temple and get together for three or four hours of prayer every afternoon. Crucially, they belong to different jaatis, or sub-castes. Shiv Charchas are a recent addition to religious life in Saran district. “These started in our area three or four years ago,” said Arun Kumar Das, a Dalit activist from a nearby village, Baniyapur. What sets these apart from other such religious practices, Das said, is the focus on Dalit women. Shiv Charchas were apparently introduced to Bihar about five years ago by one Harendra Bhai. He was born into the Bhumihar caste in Bihar’s Siwan, according to Pandey, and he and his wife Neelam set up Shiv Charchas in Jharkhand before moving back to Bihar. It isn’t clear whether the Shiv Charchas are affiliated to the Sangh Parivar, the network of organisations that espouse Hindutva, but they are aiding the electoral prospects of the Bharatiya Janata Party in the state. For decades after Independence, the BJP did not have much of a footprint in Bihar, largely because the upper castes, who form the party’s core supporters in much of India, were with the Congress. 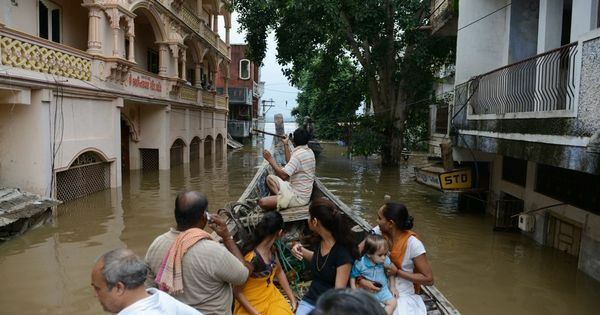 Moreover, as Arshad Ajmal, director of the Patna-based Al-Khair Charitable Trust, which works for communal harmony, pointed out, the populace was syncretic enough to resist the Hindutva party’s majoritarian politics. The BJP started making inroads with the Ayodhya Ram Janmabhoomi movement in the late 1980s which, among other things, precipitated the Bhagalpur anti-Muslim carnage. But its growth was arrested by Lalu Prasad Yadav when he became chief minister in 1990. Under him, the government cracked down on the Sangh Parivar – the Rashtriya Swayamsevak Sangh and its affiliates – which is the organisational machine of the BJP, said Shaibal Gupta of the Asian Development Research Centre, Patna. The party’s prospects began to look up after it allied with Nitish Kumar’s Janata Dal (United) in the early 2000s. By mid-decade, it was a partner in power. 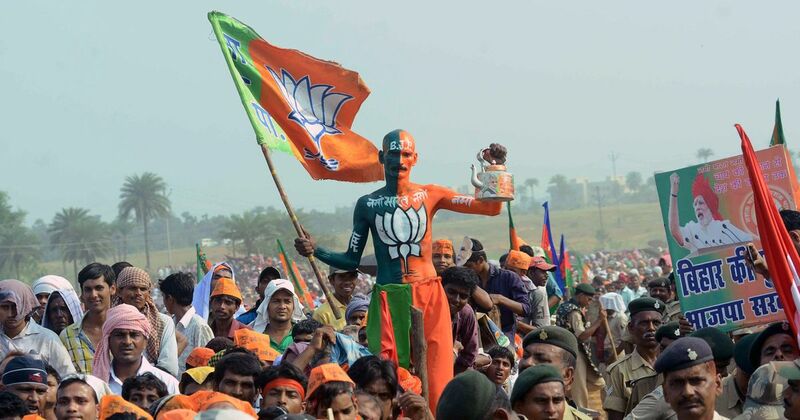 The party then leveraged the state machinery to expand, agreed Sanjay Paswan, a senior leader of the BJP in Patna. Not only did the party’s workers get appointed to local governance committees in blocks and districts, its sister outfits in the Sangh Parivar started spreading in the state, each focusing on sharply defined voter segments. Sangh affiliates are similarly reaching out to different demographics. The Jhuggi Jhopdi Sangharsh Morcha works with the urban poor, said Uday, an activist with Paridhi, a Bhagalpur-based NGO that works for communal harmony. The Bajrang Dal is reaching out to youth in western Bihar. “They are mostly youth, mostly Dalit,” Sanjay Paswan said of the target group. The Vanvasi Kalyan Ashram, Das said, is active among the Musahar and Chamar communities. Then there are “volunteers” like Sanjay. A man in his 30s, he runs a Shiksha Kendra – education centre – for urban slum children. Sanjay recalled the suspicious reception he himself got when he first went to a slum. “They feel they are used by political parties and mistrust anyone who comes to help them,” he said. But he visited regularly and spent Rs 50,000 of his own money to clean the toilets there, knowing his work would eventually help the party. It took him about four months to make the breakthrough. “It is on our work that the political edifice will stand,” he said. The sum total of these efforts is to achieve a dual goal – reconfiguration of caste alliances and creation of a ground-up organisation. 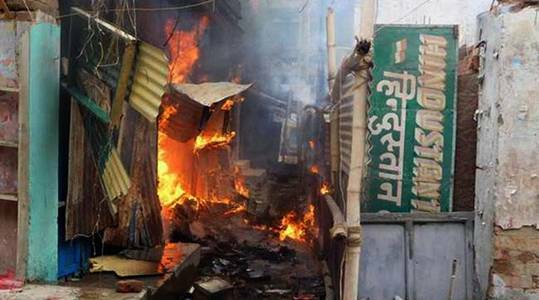 The state saw a spike in communal violence. At least 667 communal skirmishes were reported between June 2013 and the end of 2015, according to Mohammad Sajjad of Aligarh Muslim University. As they gained economically, Sajjad said, they became so powerful that the Rajputs resented their rise, causing conflict. “What the BJP is doing now is that it is fomenting anti-Muslim feeling amongst the Mallahs in the hope this will bring them closer to the party,” he said. The BJP’s defeat in the election and the formation of a “secular government” did not affect the Sangh affiliates’ work. They have particularly ramped up their messaging via WhatsApp. Sitting in his office at a village near Ara, a young banking agent played a video of a man beating a cow. “There must be some truth to it, no?” he asked. For its processions, the Bajrang Dal usually gets people from outside the area. “In the crowds we see, for every 20 local people, there are 80 from outside,” said Mobin. Then, they started reciting a list of grievances. “Muslims stop us from celebrating our festivals,” one of them said. It was an implausible claim given that there are only a smattering of Muslim houses in the midst of a clutch of Hindu villages. It is hard to imagine them imposing their will on the majority community. Scroll.in’s requests to Sushil Modi for a meeting did not elicit any response. The previous piece in this two-part series on religion-based politics in Bihar can be read here. The other articles in the Ear to the Ground series can be read here.